Agile methodologies and frameworks have already become a key element in project management in a lot of organizations. Organizations across the globe are on a lookout for advancements in Agile methodologies and employees who can implement these methodologies and principles in the real-life scenario. In the 1st part of the article, we discussed the benefits that you can reap with PMI-ACP certification. We suggest you read the first part of the Article: ‘How Valuable is PMI-ACP Certification Part 1?’ before moving forward with this Article. In this article, we will help you identify if PMI-ACP is the right certification for you and compare it with other popular project management certifications. So, let us start with the most important question: Is PMI-ACP the correct certification for you? In order to get to the conclusion, try to find the answer to the following questions: If the answer to any/all of these questions is â&#x20AC;&#x2DC;Yesâ&#x20AC;&#x2122; then PMI-ACP could be the certification you need. We have already discussed the benefits of the PMI-ACP in the first part of the Article. Let us now compare the certification with other standard PMI-ACP certifications. The first certification that we will take up for the comparison is Project Management Professional (PMP) issued by PMI. PMP PMP is one of the most standard certificates in project management spectrum. 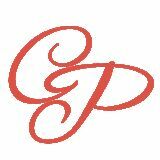 The certificate is considered good for a person who has decent experience in the project management spectrum and is planning to take his career a step forward in Project management. With a strict pre-requisite to one of the toughest certification examinations, PMI maintains very high standards with PMP. So, how to choose between PMP and PMI-ACP? The following table is designed based on the roles you wish to take up in the future or have already taken up. The aim is to check which set of roles come closest to what you are planning to do. CSM Certified Scrum Master (CSM) focuses exclusively on the Scrum methodologies and is issued by Scrum Alliance, a not for profit organization. The first thing that you should take note of is that while PMI-ACP covers various Agile tools like Scrum, Lean, XP, etc., CSM aims at inducting you with the knowledge set of Scrum alone. The second most important thing to remember while comparing PMI-ACP and CSM is that Scrum Alliance coins CSM as the first step towards building a strong Scrum knowledge base while PMI recognizes to be at a standard level with PMI-ACP certification. So, if your organization explicitly uses scrum methodologies, CSM would be a better option for you. But, if your organization uses a combination of Agile tools, PMI-ACP might work better for you. PMI-ACP has an upper hand in multiple areas when compared to several other Project Management certifications. 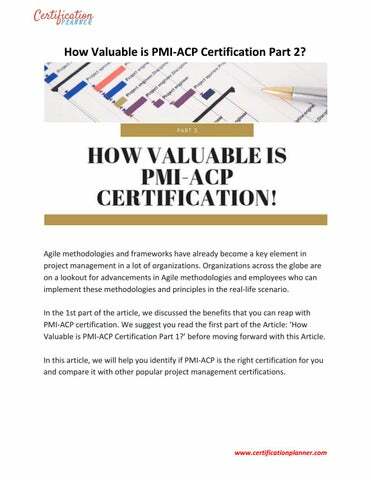 A strong prerequisite, extensive courseware, high standard of examination, all play in favor of PMI-ACP and can assist you with your Agile learning or validate your experience in Agile application. If you are planning to take up PMI-ACP certification and want to know more about the PMI-ACP certification course, you can reach out to our training experts at support@certificationplanner.com​. We are committed to connecting you with the best training options and provide in-person classroom training, Live online Classroom training, and Self-paced learning. Our courseware is designed and developed by certified instructors. That is not it! With CP’s PMI-ACP course, you get access to complimentary CP guide book, practice questions based out of actual examination and much more. Interested? You can visit us on our website and check our ​PMI-ACP Course​ or call us at +1 4084185586. Happy learning!